Saburo Sugimura (Kotaro Koizumi) works for the PR department of a company which his father-in-law Yoshichika Imada runs. One day, Yoshichika Imada tasks Saburo Sugimura with work regarding a man named Nobuo Kajita. A complicated story unfolds from the request. Nobuo Kajita was the chauffeur for Yoshichika Imada, but died in an accident. Saburo Sugimura is tasked by his father-in-law to help edit a book on Nobuo Kajita by his two surviving daughters. When Saburo meets the two daughters, he finds the sisters having conflicting views on the book involving their father. Young sister Yuriko is eager to write the book, hoping the book will lead to the capture of the person who caused her father's death, but older sister Satomi is opposed to publishing the book. This is due to their father's hidden past, which Saburo begins to unfold. In the following months, a serial murder case occurs with someone placing potassium cyanide into beverages at convenient stores. Meanwhile, Saburo has a hard time dealing with new part-time employee Izumi, who makes trouble in the PR department. After coming into conflict with other workers in the PR department, Izumi disappears without giving a resignation notice. Saburo, who is interfering, tries to find out about her to end their working relationship on a good note. Saburo then discovers a connection between the potassium cyanide case and Izumi. Based on two novels by Miyuki Miyabe: "Dare ka Somebody" (published November 13, 2003 by Jitsugyo no Nihon Sha) and "Na mo Naki Doku" (published August, 2006 by Gentosha Inc.). 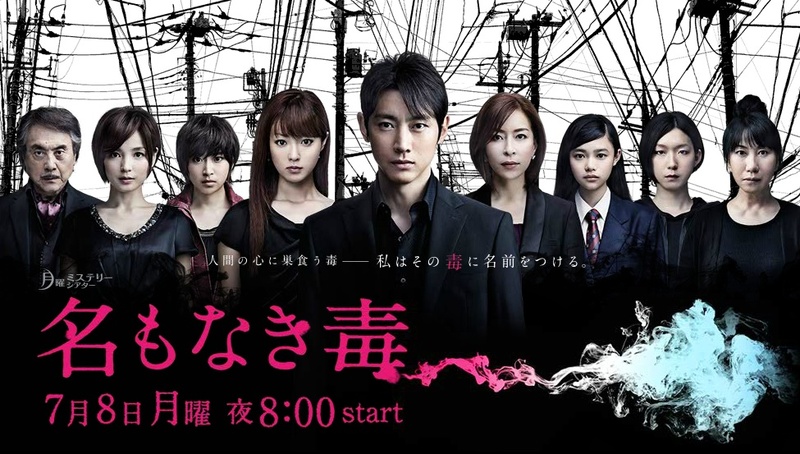 Ep.1-5 in the drama series is based on "Dare ka Somebody" and ep.6-11 is based on "Na mo Naki Doku".